It is always amazing to me how much I overlook. If you take a walk and look along the path you find subjects that you normally miss. 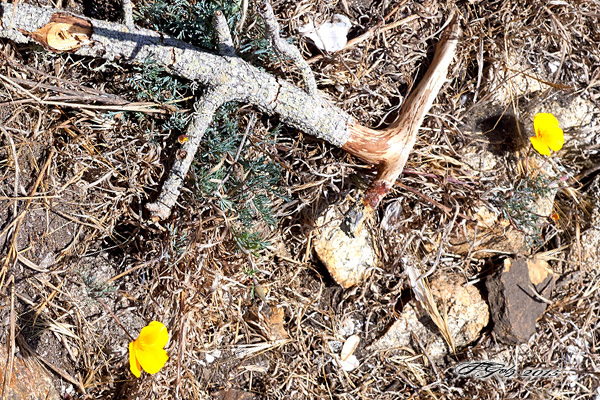 There is the beautiful coast, the ocean, the cliffs etc., but what about the little things the little wildflowers that people step on, the twig, the small stones, the dead pine needles etc. Do photographic exercises helps you to discover, to see in a new way, to stay sharp. So go out and pick another path and photograph some more this week-end. Be passionate about you images and be the best you can be regardless of the camera you own, your age, your handicaps, your excuses etc. Just go out and photograph!